There are many advantages to being able to tow a trailer with your car using Category B+E, as you will be able to tow trailers, caravans, horseboxes, jetskis etc. Trailers provide many advantages that vans offer (ie storage space), yet can be detached, and also often require no additional insurance premiums or road tax. Towing a trailer requires extra vigilance, knowledge and skills in order to tow safely and within the law. 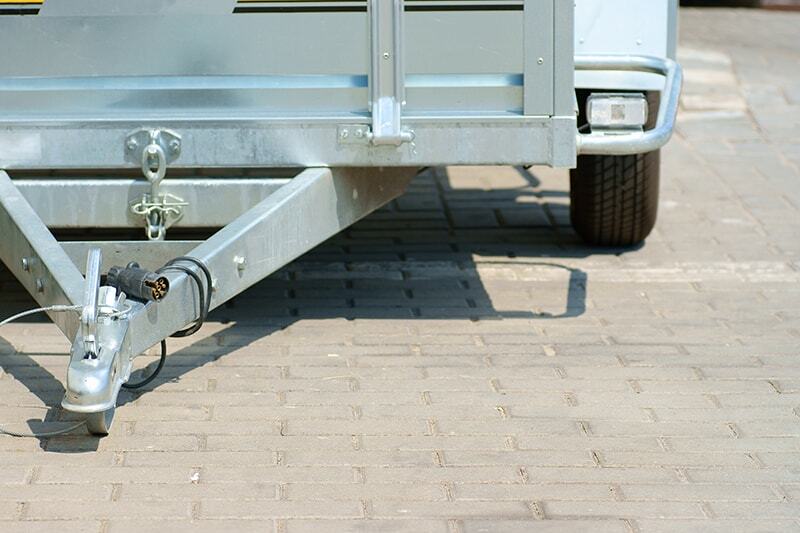 Towing a trailer can be a tricky business, particularly if you have to reverse into bays or manoeuvre in tight spaces. The car and trailer courses are designed to deliver hands-on practical training and to provide the tools and the confidence for stress free towing and manoeuvring. The test takes roughly 90 minutes to complete and is carried out at Vocational test Centres. The test is made up of five sections: Eyesight Test, ‘Show me, Tell me’ Questions, On Road Driving, Reversing Manoeuvre, Uncoupling and re-coupling exercise. The instructor will ask you to read a new style number plate from 20m as the law states that all drivers of motor cars must be able to read a standard number plate, in good daylight, from a distance of twenty metres – with spectacles or corrective lenses if required. You will be asked a few questions of which some will be a demonstration and others will be an explanation. These questions will have been practiced during your training with your instructor. The candidate will be asked to uncouple the trailer and park the vehicle next to the trailer. The examiner will then ask the candidate to re-couple as if the trailer is “unfamiliar” to them. On both the uncoupling and re-coupling there is a high emphasis on safety, with various checks required to be carried out at the correct times during the exercise. You’ll have to show that you can manoeuvre your car and trailer in a restricted space and stop at a certain point. You must show you can reverse under control and in a reasonable time, show good all round observation with reasonable accuracy. On your practical driving test you will need to drive safely and skilfully in various road and traffic conditions for approximately 50 minutes to one hour. The examiner will give you clear directions and in good time, and you will be asked to carry out set exercises. Your practical driving test will also include the Independent Driving which will last for approximately 10 minutes. You will receive a set of instructions from the examiner which you must follow, whilst proving that you can drive safely and make decisions independently. As you perform your practical driving test the examiner will assess your driving, and he/she will ask you to demonstrate that you can move off smoothly and safely both uphill and downhill, and move off normally from the side of the road and at an angle. You must show you can safely meet other vehicles, overtake, cross the path of other vehicles, care in the use of the controls, exercise correct lane discipline and more. The standard of driving required must be to the highest possible level. Do not underestimate the standard of driving required! All trailer users – whether you are new to towing and need to learn the practical and legal aspects related to this area or whether you already have towing experience, but want to refresh your skills or target certain areas such as reversing. In order to take a B+E test, you must already hold a Category B Driving Licence, and have the provisional entitlement for B+E entitlement. There is no theory test requirement to obtain a B+E licence. This is because the “+E” part of a driving entitlement simply means “and trailer over 750kg”. By adding the right to tow a trailer, you are simply extending your existing Category B licence (for which you would have already passed a theory test for) as opposed to obtaining a new category of licence. Improve your general driving skills to make sure they are up to the DVSA driving test standard. For anything heavier you need to take a category B+E test. 2 lessons of training and the test on the 3rd lesson (upon request, this course may be condensed into a 2 lesson course) suitable for drivers with experience in handling trailers, especially coupling and reversing. 3 lessons of training and the test on the 4th lesson (upon request, this course may be condensed into a 3 lesson course) suitable for drivers with no or limited experience in towing or handling trailers, especially coupling and reversing.